This program was produced by the Republican Party as a satire about the People's Party. 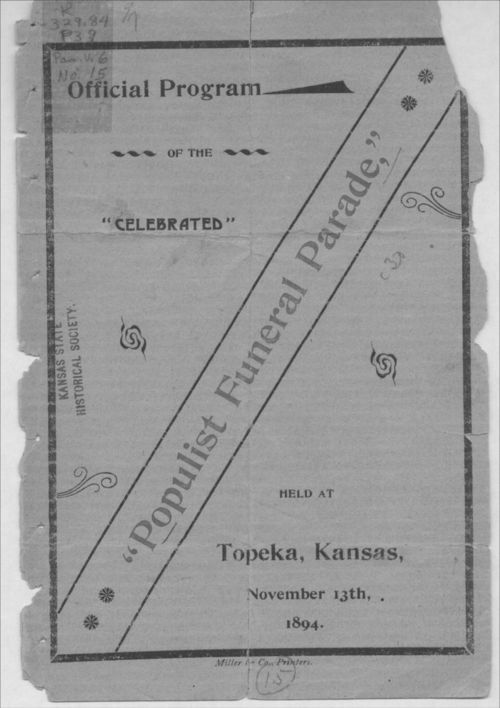 The parade took place on the evening of November 13, 1894, in Topeka, Kansas, to celebrate the defeat of the People's Party at the hands of the Republican Party. It was designed to unite the Republican Party in its re-emergent role of controlling state politics. The original is extremely fragile.